The Wisconsin-based ADRC of the Wolf River Region connects you with upcoming local events in Shawano, Oconto and Menominee Counties and the Stockbridge-Munsee Community. Take a look through the list below and follow any instructions for registration. Shawano County Strong Bones Program – Shawano County is starting enrollment for the 2019 Strong Bones Program. This program is open to anyone who would like to attend. There are different payment options for the class and it will be offered at multiple locations. Click here to view the informational flyer or contact the UW-Extension Office at 715-526-4863. Heart and Heal is a program for cancer patients and survivors to express themselves in a creative and therapeutic way. The cost of each class is between $10 – $15 and classes will be held at the NWTC Artisan Center in Green Bay. Click here to view the flyer for this program. Please contact HSHS St Vincent Hospital Regional Cancer Center for more information on this program by calling 920-433-8488. The ADRC is offering a class regarding the basics of Medicaid. This class will be held at the Shawano Middle School from 1:00 pm – 3:00 pm on May 8. Anyone interested in attending may call the ADRC toll free to register at 1-855-492-2372. Click here to view the informational flyer. The Alzheimer’s Association will be presenting a class at the ADRC office in Oconto Falls beginning at 10:00 am regarding the warning signs of Alzheimer’s disease. This class is free and open to the public. Contact the ADRC to register by calling us toll free at: 1-855-492-2372. Click here to view the informational flyer. The Alzheimer’s Association will be presenting a class at the ADRC office in Shawano beginning at 1:00 pm regarding recognizing the 10 signs of Alzheimer’s disease. This class is free and open to the public. Contact the ADRC to register by calling us toll free at: 1-855-492-2372. Click here to view the informational flyer. - Stockbridge-Munsee Elderly Center: May 23rd 1:30 pm – 5:30 pm. The following events are regularly scheduled and ongoing – see each item for details regarding meeting days/times. Meetings are held the second Wednesday of every month at Options for Independent Living in Green Bay from 6:00 pm – 8:00 pm. Contact Carolynne for more information at 920-288-7095. The Alzheimer’s Association along with Good Shepherd Services is offering a support group for those who care for individuals with Alzheimer’s Disease. Monthly meetings are conducted the fourth Thursday of every month at 6:00 pm in the board room at Good Shepherd Services in Seymour. Contact Good Shepherd Services to find out more at 920-833-6856. The Alzheimer’s Association along with Good Shepherd Services is offering a support group for those who want to learn more about Alzheimer’s Disease. Monthly meetings are conducted the third Thursday of every month from 12:30 pm – 3:00 pm in the board room at Good Shepherd Services in Seymour. Contact Good Shepherd Services to find out more at 920-833-6856. Adult Day Services (ADS) are designed to meet the needs of adult participants who are functionally, physically or cognitively impaired, socially isolated, frail, or may be suffering from Alzheimer’s disease, dementia or other type of memory loss. These services are provided at The Caring Tree Adult Day Center, located at 512 Caldwell Avenue, Oconto Falls (inside the Oconto Falls Senior Center). The hours are Tuesday, Wednesday and Thursday from 8:00 am – 4:00 pm. This support group meets at Safe Haven in Shawano. This group is for children who have been involved in or have been witnesses to family violence or other abuse. Pre-registration is required by calling Safe Haven at 715-526-3421. First Presbyterian Church in Shawano offers a free community dinner the 4th Tuesday of every month at 5:30 pm. First Presbyterian Church is located on Main Street next to the Post Office. Click here to view their informational flyer. The Community Resource Center in Keshena offers many different classes that are free and open to the public. Some classes they offer are budgeting, open computer lab for job related activities and much more. Contact them at 715-799-5137. This group meets at ThedaCare in Shawano periodically throughout the year from 10:00 am – 11:00 am. 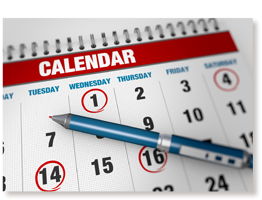 Click here to view their upcoming schedule of meetings. This twelve-step organization has helped many people learn to live with unsolved problems. They offer this self-help opportunity in a warm and caring atmosphere every Monday at the Shawano County Library at noon. Contact Angela at 715-524-2524 to find out more or click here to view their informational flyer. Meetings are held at Options for Independent Living in Green Bay the first Wednesday of every month from 6:30 pm – 8:00 pm. For more information contact Ann Hubbard at 1-800-693-2287. Home Respite Care Inc. in Oconto County offers a support group called the Connecting Club of Oconto County for all caregivers who are looking for an outlet to express concerns and needs to others who are in similar situations. This support group meets the 1st Wednesday of each month at 1:30 pm at The Caring Tree Adult Day Center. Contact them at 920-848-6368 for more information or click here to go to their website. The Alzheimer’s Association, in partnership with Good Shepherd Services in Seymour, offers a memory café for those in the early stages of Alzheimer’s and their caregivers. This monthly meeting is a social group that meets to do actives and learn about services in the area. Meetings are held the second Thursday of each month from 2:00 pm – 3:30 pm. For more information, contact Good Shepard Services at 920-833-6856. Mug Club for Caregivers is a support group open to any caregiver. This group goes over issues such as learning coping skills, finding local resources and bonding with others who have similar experiences. Meetings are held at the Shawano County Department of Human Services Fellman Center from 5:00 pm – 7:00 pm the first Tuesday of each month. Class is free and open to the public. Click here to view their informational flyer. This support group meets the fourth Tuesday of every month at Options for Independent Living in Green Bay from 6:30 pm – 8:00 pm. Care partner breakout secessions are available at most meetings. Contact Lisa Van Donsel for more information at 920-621-0949. The Parkinson Support Group for the Shawano area meets the second Tuesday of every month at 1:30 pm at the Shawano City Hall located at 127 South Sawyer Street. Contact Joyce for more information at 715-526-5104. The MOPS community group is open to all women who are pregnant or have young children (birth through kindergarten). They meet once a month (September – May) from 8:45 am – 10:45 am at Hope Community Church in Shawano. MOPS provides an opportunity to meet other moms and offers a morning full of fun, food, creative activities and guest speakers. There is a fee of $50 for the year to join but anyone interested is encouraged to come to a meeting free of charge to see if they like it. Childcare is provided free of charge during this meeting. Click here to view their website. The Silver Society Club meets the first Tuesday of the month at the Shawano County Library from 1:30 pm – 3:00 pm. Please contact Heidi with any questions you may have at 715-526-4686 or click here to view their informational flyer. This support group for the visually impaired meets once a month at 2:00 pm at ThedaCare in Shawano in the Red River Room. There is no cost to attend. For more information contact Carolyn at 715-851-1076. This support group for the visually impaired meets once a month from 1:30 pm – 3:30 pm. There is no cost to attend. For more information contact Herb at 715-324-5325 of click here to view their informational flyer. The We Are People support group meets the fourth Wednesday of every month. Contact Debbie at 715-526-6789 for more information. Click here to view their most recent flyer. Safe Haven invites you to join this support group that is for women who have experienced difficult relationships in the past or present or have experienced verbal, emotional, physical or sexual abuse. This support group meets every Tuesday morning or Thursday evenings at Safe Haven in Shawano. Pre-registration is required and can be done by calling Safe Haven at 715-526-3421.